John Watt Beattie was born in Aberdeen, Scotland in 1859 and migrated to Tasmania, Australia in 1878 with his parents, who settled in the Derwent Valley. In 1879, Beattie began to take photos of the Tasmanian bush, and became a full time photographer in 1882 as a partner with the Anson Brothers, taking sole control of the business in 1891. He became Tasmania’s leading photographer, excelling in portraits, nature photography and in promoting the island’s economic potential. 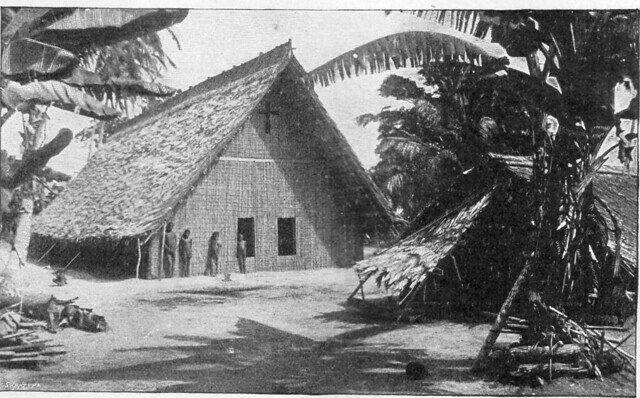 In 1906, he accepted the invitation of Bishop Cecil Wilson to travel to Melanesia, Polynesia and Norfolk Island in the Diocese of Melanesia’s Southern Cross. His hundreds of photographs from this trip were some of the best ever taken in Melanesia in these early years and have been published in many places. He kept a diary on this trip and in 1909 published a catalogue of these photos (which is attached to this site). In 1927, he sold a large part of his collection to the Launceston Corporation, material which is still in Tasmania’s Queen Victoria Museum. Other photographs from this series can be found in the Tasmanian Museum, the Auckland Institute and Museum, and the British Museum, particularly those associated with the Melanesian Mission. Although Beattie died in Hobart in 1930, his company continued to sell his prints until the 1980s. The photographs produced here were taken by John Beattie on his 1906 Pacific trip: they pertain only to the Solomon Islands, and to the Diocese of Melanesian headquarters on Norfolk Island because many of the people in the photographs are Solomon Islanders. The full set of photographs also included the New Hebrides (Vanuatu). Several sets of the photographs exist in libraries around the world. I have been granted permission by George Kiriau General Secretary of the Anglican Church of Melanesia, to display their set. I also acknowledge the assistance of The Rt. Rev. Dr. Bishop Terry Brown. Beattie’s photographs are not the earliest taken in the Solomon Island but they are the largest and most comprehensive early collection. Beattie’s expertise both in choosing his subject matter and developing the images makes them by far the most valuable of early Solomon Islands photographs. Many are quite exquisite and record a view of the Solomon Islands on the cusp between pre-contact and modern society. They were taken on Choiseul, Guadalcanal, Isabel, Makira (San Cristoval), Malaita, Savo, Ugi, and Ulawa, and in the New Georgia, Nggela (Florida), Santa Cruz, Duff and Reef Groups, onboard the Southern Cross and on Norfolk Island. The images have been reworked by James Donaldson of the School of Historical and Philosophical Inquiry of The University of Queensland which has enabled the highest quality presentation. Beattie, J.W. 1906. Journal of a Voyage to the Western Pacific in the Melanesian Mission Yacht Southern Cross. In Royal Society of Tasmania MSS Rs. 29/3. Hobart. Beattie, J.W. 1909. Catalogue of a Series of Photographs Illustrating the Scenery and Peoples of the Islands in the South and Western Pacific. Hobart: J.W. Beattie. The photos are displayed here as slideshows via Flickr. Hover over the images or tap to view slideshow controls, these will display when the gallery has finished downloading.